She shoots … she scores! 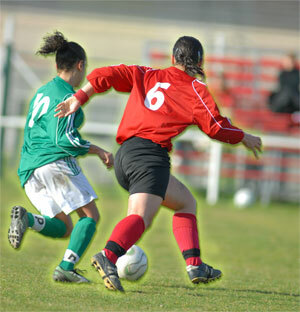 Come play adult women’s soccer (for players 30 years and older) on Wednesday nights at 7pm. All skill levels are welcome. Balanced teams will be formed to create competitive play. A knowledgeable referee maintains a quality game atmosphere with safety as the number one priority. Teams will consist of four players on the field plus the goalie, with free substitution throughout the game. Remember, safety is first! Please remove your jewelry before playing. Wear shin guards and supportive tennis shoes.